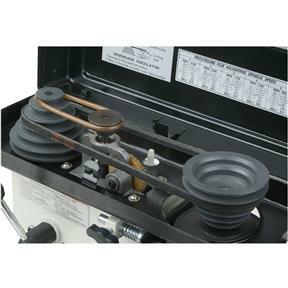 Wouldn't you like to contour sand on occasion with a drill press? 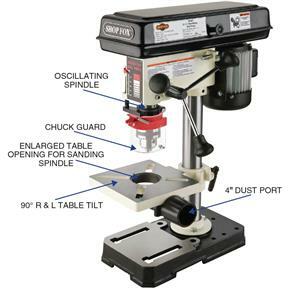 The Shop Fox® Oscillating Drill Press has many great features like a 1/2" drill chuck, sturdy square table, small footprint that won't take up space, precision-ground spindle for accuracy and an oscillating spindle! 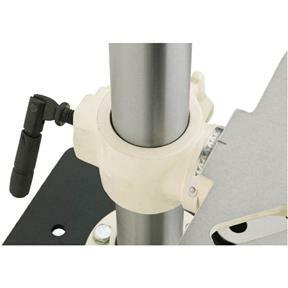 Now you can contour sand without the bother of repositioning the spindle or the sanding sleeve. The sanding sleeve will last longer too! 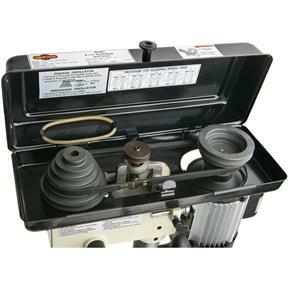 The Oscillating Drill Press comes supplied with a dust port; just add a utility vacuum & efficiently sand away. Approximate shipping weight: 51 lbs. Love it. Works great. 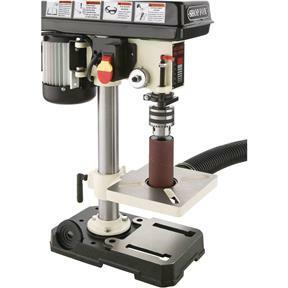 It is exactly what I was looking for in a tabletop Drill Press. I am impressed with the quality of this product. The oscillating feature is an added plus. 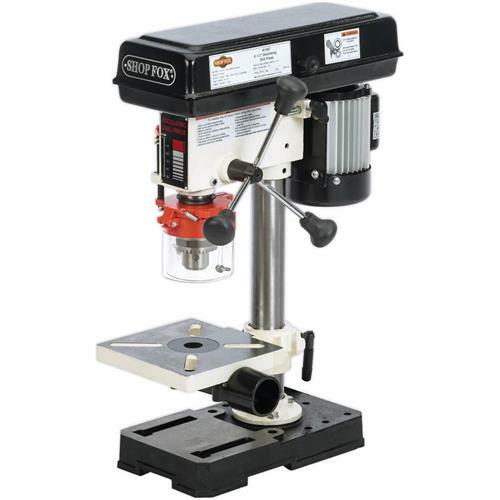 This small but sturdy drill press is easy to assemble and seems solidly built. 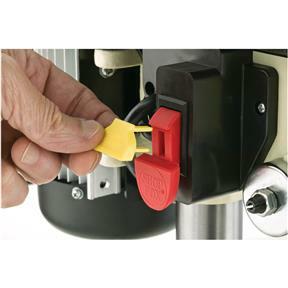 The fit and finish are nice, and the oscillating and variable speeds give you lots of options for use. I expect to get lots of use from this well priced tool. Perfect size for home Workshop. Very quiet and well built. Good little press for the money. Works well for small projects. Ive been looking at this for a couple of years and am so glad that I finally purchased it. 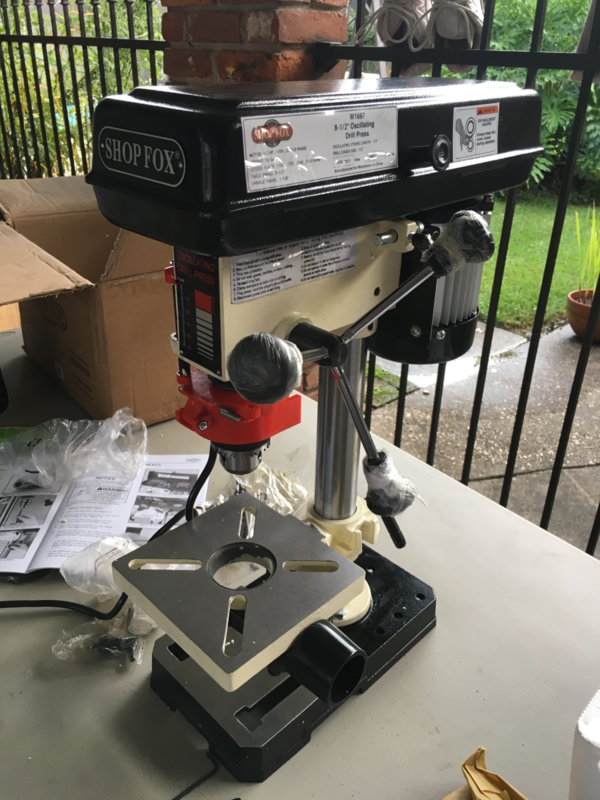 I was able to assemble the drill press today. 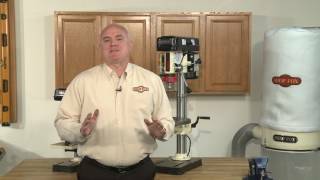 It is a very easy assembly and it works great. small foot print is perfect for my utility room. 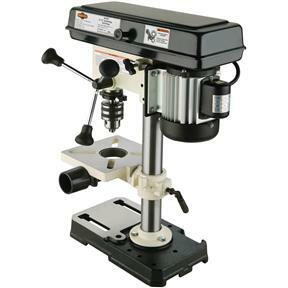 I build small stuff, so using this drill press to pre drill holes had made things much easier. Pre drilling holes for chairs and humidors I make has increased my accuracy. Anyone who has made a humidor for cigars knows the tolerances and clearances have to be very tight to trap the humidity inside. 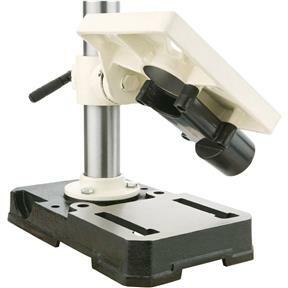 A simple 90 degree corner jig makes pre-drilling hinge holes precise and repeatable for that perfect fit. I have also used it with a wire brush attachment to remove rust from an old hand plane restoration project. 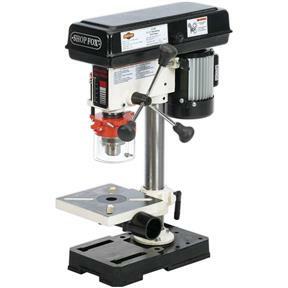 This drill press has plenty of power to throw objects right out of my hands and remove rust from old steel and iron. 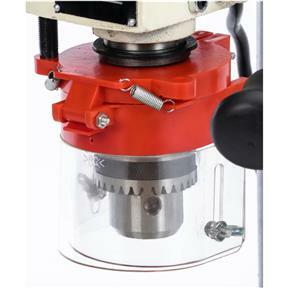 The oscillating function is great using spindle type sanding attachments. 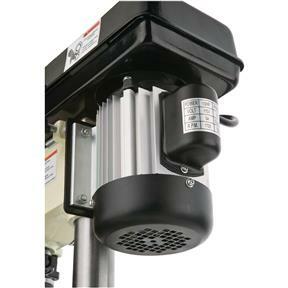 This drill press is actually very heavy, considering it's size, which is great for stability. I have a very small shop, actually the corner of my garage that I park my car in. 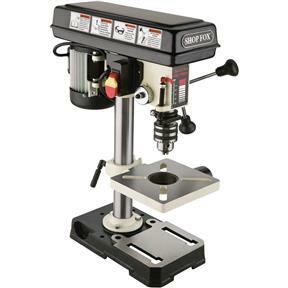 All my tools have to be able to be packed away when not in use, which is why I purchased this drill press. I can clamp it to the workbench using a bench dog and undercounted vice. When I'm done, twist the vice and put it away. It does everything I need it to do and I'm very happy with it. I would buy it again if I had to. 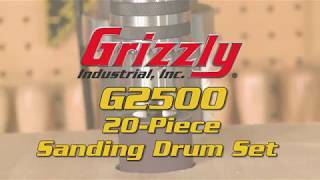 Easy to go from spindle sanding to drill press. Perfect for a compact space. 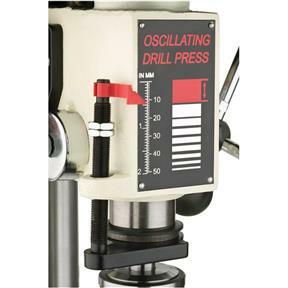 Men have their toys and boy o boy this W1667 Oscillating Drill Press is one of the best tools ever received as a gift. It&amp;#39;s inexpensive, well made, accurate, quiet (live in an apartment) and will be used for a long time to come! So, go on... get one!